Well, that’s good news, right? 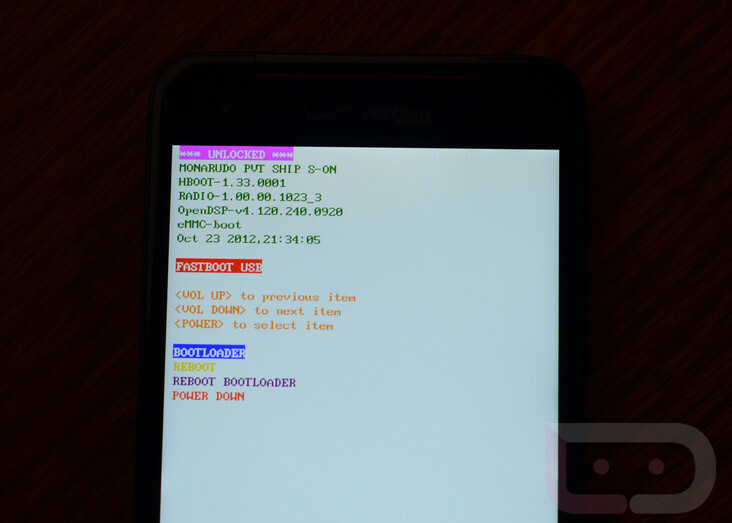 The HTC DROID DNA bootloader can be unlocked through HTCDev, opening it up (for the most part) to a world that many of Verizon’s phones cannot enter. The phone is left with S-ON afterwards, but to my knowledge most HTC phones are after using this tool. The device pictured is more than likely a retail unit. Unless something changes or a software update blocks HTCDev from working, I’d say we are in luck. In theory, with the phone having S-ON, ROMs can still be flashed, you just have to flash a boot.img file before doing the heavy lifting. For example, my One X is unlocked via HTCDev and has S-ON, yet I can flash all sorts of goodies. (Updated) In order to flash kernels you will need to do it through fastboot, but in this day, that’s not nearly as big of a deal as it once was. In order to unlock, we’ve been told that all you need to do is use HTCDev’s unlock instructions after choosing the “All other supported models” option from the device selection pulldown. Assuming (and hoping) this carries through to launch, does this change your opinion of the DNA?